A study published in the Clinical Journal of Sport Medicine indicated that taking creatine supplementation caused DHT levels to increase. Higher levels of DHT are linked to hair loss in men. 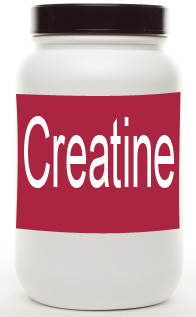 Creatine is a common product used by athletes and people who work out. This supplement helps grow muscle and reduce fat. The researchers conducted a double-blind study of rugby players, who get a great deal of exercise. Half of the players were given a placebo, and half (the “test” subjects) took creatine along with glucose. They took larger doses the first week and less in subsequent weeks. As expected, by the end of 3 weeks, the test subjects’ lean muscle mass increased slightly, and their percentage of body fat decreased by a tiny amount. This shows the creatine is working as expected for dedicated athletes who do not do weight training as their core fitness activity. However, the hormone levels in the blood of the test subjects had been altered. After the first week, when they took a larger creatine dose, their DHT level had >Continue reading Creatine Research Shows Increase in DHT a Hair Loss Cause” />risen by 56%. And in subsequent weeks, when their creatine usage went down, their DHT levels went down but were still elevated. The subjects’ testosterone levels remained the same. The researchers included a warning of the possible side-effects of creatine. They asked for more research on whether creatine increases the risk of male pattern baldness and other problems including non-cancerous enlargement of the prostate. 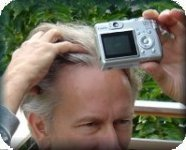 Male pattern balding is triggered by elevated levels of DHT in genetically-prone men. The hair on the top and sides of the head are more sensitive to DHT. When large quantities of DHT are present, these hair follicles become smaller and eventually stop growing hair. Drugs such as finasteride inhibit the action of DHT to help treat male pattern balding. There are many types of supplements for athletes and people who work out. Before starting a supplement, talk to your doctor and research the topic on your own. For example, a new supplement suitable for weight training, Dr. Shapiro’s All Natural Help Hair® Shake, is made from hormone-free Whey Protein Concentrate (WPC) and includes vitamins and nutrients specifically for making hair look thicker and fuller. See more about hair loss. “Three weeks of creatine monohydrate supplementation affects dihydrotestosterone to testosterone ratio in college-aged rugby players.” Clin J Sport Med. 2009 Sep;19(5):399-404. van der Merwe J, Brooks NE, Myburgh KH. This entry was posted in Baldness, Exercise, Genetics, Hair Loss, Hair Loss Products, Health - General on February 28, 2011 by Larry Shapiro.